Primevoice Travel & Tours is a brand originated from Prime Voice Marketing Services, owned and managed solely by the expertise of Rowena Caralde-Alvarez. Started in the year 2000 as an outsourcing and call center company catering to U.S. and international based companies as B-to-B accounts providing the best marketing services. Rowena Caralde-Alvarez is a licensed tour guide and accredited by the Department of Tourism since 2008 who became known for her tour guiding techniques and abilities. She has been commended by many travel agencies for her unique skills & knowledge. 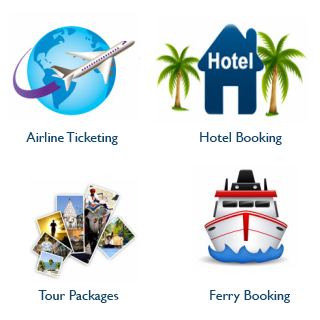 She has been acknowledged by many Tourists for her high-quality professional services. It is her passion to serve Tourists in the Philippines and providing great and amazing experiences for travelers nationwide and international. With 25 years of work experiences around Asia including managing her own company of Contracting, Facility Management, Real Estate, Investment/Financial, Call Center, and Travel/Tours & Hospitality management in the Philippines, Rowena Caralde-Alvarez has been an expert in many aspects of many industries for Administration, Operations, Marketing & Events, Business Development, Customer Relationship, and Corporate Communication with 5 years solid experiences in UAE.